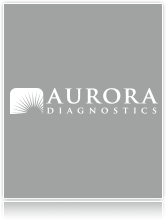 Aurora Diagnostics is currently seeking an experienced Director of Marketing for our location in Palm Beach Gardens, Florida. Aurora is the largest independent diagnostic pathology laboratory company in the country with 23 lab locations in 16 states. The candidate will be responsible for directing company’s overall marketing and strategic planning programs to ensure growth, product/service development, internal/external communications, quality control and profitability. •	Designs, implements, and facilitates strategic marketing plan for the company. •	Supports and facilitates the development and implementation of the company’s product-specific marketing plans. •	Plans and administers the company’s Marketing Operations budget; support development of regional marketing budgets. •	Overseas short and long-term product development initiatives and goals for vertical market product lines. in cross-functional teams to represent marketing’s responsibilities and positions. •	Plans and oversees advertising and promotion activities including print, online, electronic media, and direct mail. •	Oversees Corporate and ADX partner web site design and maintenance. •	Oversees and evaluates market research and adjusts marketing strategy to meet changing market and competitive conditions. •	Monitors company industry position through competitor review of products, sales and marketing activities. •	Guides preparation of marketing activity reports and presents to executive management. •	Establishes and maintains a consistent corporate image throughout all product lines, promotional materials, and events. •	Manages and directs staff including recruitment, selection and development to achieve company goals and objectives. •	Complies with all State, Federal, professional regulations as well as department rules, polices, and procedural manuals. •	Adherence to HIPAA, Safety and OSHA Regulations. •	Bachelor’s Degree in Marketing, Business, Communications, or Healthcare Administration. •	Minimum of 5 years of experience in marketing/product management, preferably in a health care setting. •	General office equipment including but not limited to personal computers, fax machines, copiers, and printers. •	Proficiency in Microsoft Office applications, including Microsoft Word and Excel. •	Skill in development of marketing strategies and marketing analysis. Aurora is an Equal Opportunity Employer/Drug Free Work Place. All employment is contingent upon successful completion of drug and background screening. Aurora requires all applicants to be eligible to work within the US. Aurora offers a competitive compensation package, including outstanding benefits and an excellent work environment. If you are interested in joining our dynamic team of healthcare professionals, please email your resume/ curriculum vitae to hrrecruiter@auroradx.com.